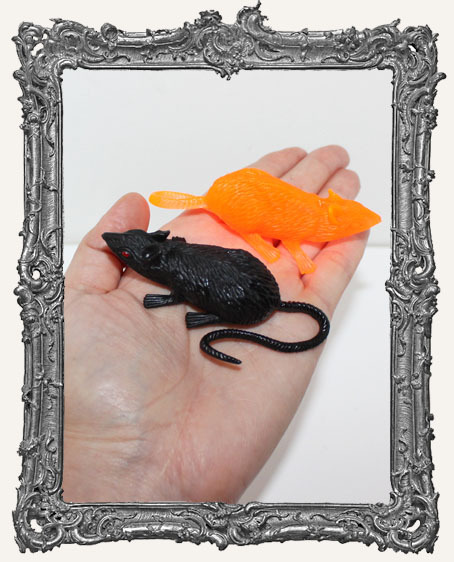 * Two fun, large rubber rats. One black one orange. * Each measures approximately 3" x 2". * Great for use with our larger Shrine Kits and more!